In the latest apparent ploy to defy the International Criminal Court, Sudan's President Omar al-Bashir kept First Lieutenant-General Abdelrahim Mohammed Hussein on board as defense minister this week while shuffling his cabinet around to include more opposition parties. He kept the most powerful posts under his ruling National Congress Party, or NCP, including finance, oil, foreign affairs, and interior in addition to defense. The decision came on the heels of a request by the International Criminal Court's chief prosecutor for an arrest warrant for Hussein last Friday for alleged crimes in Darfur. 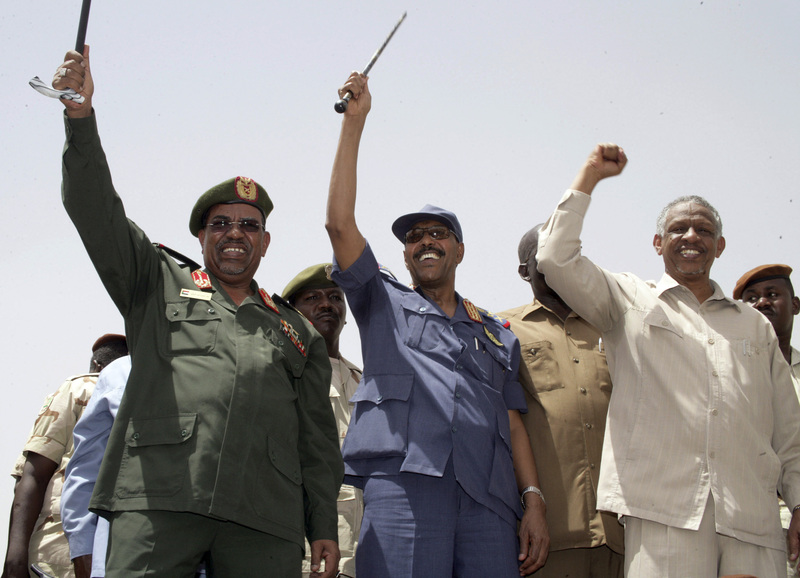 The ICC has already indicted President Bashir himself on crimes against humanity and genocide charges in Darfur, along with two other Sudanese top officials: former interior minister and current governor of South Kordofan Ahmed Muhammad Harun, and a suspected leader of the Janjaweed militia, Ali Muhammad Ali Abd-Al-Rahman. As Enough’s most recent fact sheet details, Hussein is alleged to have played “a pivotal role in implementing the regime’s genocidal ‘counter-insurgency’ strategy in Darfur.” As the minister of defense, Hussein adopted those same tactics in South Kordofan, Blue Nile, and Abyei. Enough’s fact sheet additionally finds that Hussein currently directs the indiscriminate aerial bombing of civilians, forced mass displacement, the use of irregular militias against civilian villages, arbitrary arrest and detention, and extrajudicial killing, just as he did in Darfur. However, Jenn Christian, Enough Sudan Policy Analyst, explains in her most recent update on the warrant request, why alleged crimes committed outside Darfur are not within the ICC’s jurisdiction as set out by U.N. Security Council Resolution 1593. While keeping Hussein, one of Bashir’s closest advisors, in a position of power may come as no surprise considering his flagrant disregard for international criminal law and its enforcement, it is important for the international community to continue and apply pressure to hold Sudanese officials accountable for their crimes. The gap in ICC jurisdiction over crimes committed outside of Darfur must be closed, and the Enough Project will continue to push for its expansion to cover these additional crimes.